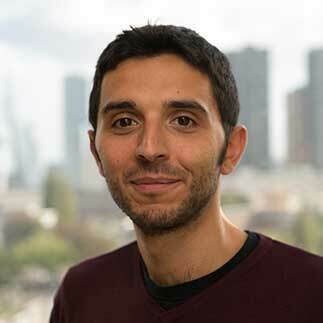 Angelo joined Quantib in 2017 as an R&D engineer and has extensive experience in software engineering. He obtained his master’s degree in Computer Science and Engineering with a specialisation in Artificial Intelligence and Robotics at the polytechnic university of Milan. His work experience includes over five years in software design, software development and algorithm optimisation for both embedded and general-purpose systems. After having been involved in several projects for both small and large companies, he joined Quantib, driven by his profound interest in machine learning and its applications to the medical imaging field. When out of the office, Angelo likes reading books, cooking and defending the goal of his favourite amateur soccer team.